In the breathtaking northern hills of San Diego, California, you will find an outstanding upscale master-planned community called Rancho Bernardo. Rancho Bernardo is a beautiful community composed of picturesque canyons and gently rolling hills. This sprawling community boasts an excellent location just twenty miles north-northeast of Downtown San Diego with Carmel Mountain Ranch to the north, Poway to the northwest, 4S Ranch to the east and Escondido to the south. Rancho Bernardo, the northernmost residential community within San Diego city limits, provides a suburban lifestyle within the big city. Known as “RB” by the locals, Rancho Bernardo was established in 1842 and was part of the 17,000 acres Rancho San Bernardo land grant. Today this upscale community stretches across 6,500 acres and encompasses numerous private clubs and parks, golf courses, excellent shopping and exciting business opportunities. This spectacular community is an ideal place to raise a family and is recognized as being one of the safest family-friendly communities in all of Southern California. Each year RB hosts multiple events, in addition to being home to numerous attractions, that appeal to people of all ages. RB Alive is one such event. This annual street fair typically draws more than 50,000 people and boasts an exciting carnival-like atmosphere with a huge children’s zone, arts and crafts, and varied businesses promoting services and products. Rancho Bernardo is also home to one of the oldest operating wineries in SoCal, the Bernardo Winery. Bernardo Winery was established in 1889, and today it is home to the Friday Farmer’s Market, a Spring Arts and Crafts Fair, Jazz on the Patio and several other events, in addition to its small cafe and quaint shops. 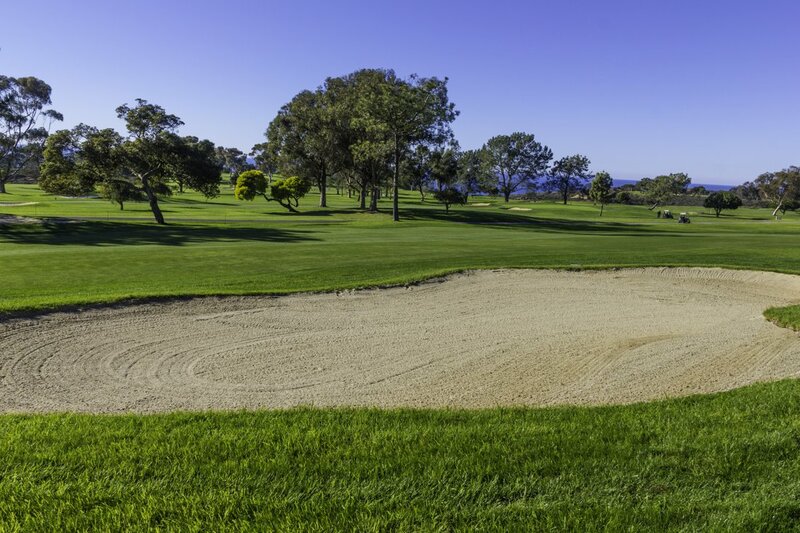 Adding to the appeal of Rancho Bernardo are the numerous golf courses found throughout the community. RB is home to Bernardo Inn Golf Course and Rancho Bernardo Country Club, both of which are championship courses. You’ll also find several other public and private courses here, which is why it is such a popular destination for luxury home buyers that enjoy the pastime. Rancho Bernardo also has a thriving business park that is home to offices for major corporations like Eastman Kodak, Nokia and Hewlett Packard, as well as being the headquarters for Sony USA. This self-sustaining community has all you need for daily life without having to drive far. Within this master-planned community, you’ll find a CVS Pharmacy, post office, Vons, Albertsons and numerous dining options. A few of the locals’ favorite establishments include The Kebab Shop, Saigon Bistro & Grill, Urge American Gastropub, Pearl Chinese Cuisine, Pho Ca Dao & Grill, and Carvers Steaks & Chops, among several others. You can also find several shopping centers here with retailers like GNC, Big 5 Sporting Goods, Kahoots Pet Store, home goods stores, auto parts stores, jewelry stores and more. There are charming boutiques and other local stores at the Artist Village, Rancho Bernardo Inn and the Shops at Bernardo Winery. In the neighboring communities, you can find additional shopping opportunities at places like Staples, Party City, Best Buy, Trader Joe’s, The Home Depot and Nordstrom Rack. This exceptional community is also served by an exceptional school district, the Poway Unified School District. Students attending public elementary schools generally attend Chaparral Elementary, Monterey Ridge Elementary, Stone Ranch Elementary, Westwood Elementary, Turtleback Elementary, or Highland Ranch Elementary. Students residing in Rancho Bernardo and attending public middle schools attend Bernardo Heights Middle School or Oak Valley Middle School and high school students generally attend Del Norte High or Rancho Bernardo High. With all of these delightful features and amenities, Rancho Bernardo is a great place to buy a luxury home. Whether you want to live in a gated community, own a lavish estate, a custom built home, a posh condominium or a property overlooking a gorgeous golf course, you can find it here. RB is divided into east and west Rancho Bernardo and the community consists of the 92127 and 92128 zip codes. If you would like to learn more about the luxury real estate of Rancho Bernardo in San Diego, California, please allow us to assist you and contact us today.